The SAISD Athletic Department accepts nominations on a rolling basis. Click here for the nomination form. Click here guidelines and instructions. Nominations must be received by May 15th for consideration for the following year’s induction class. Gary Bell – a 1954 graduate of Burbank High School and a three-year varsity letterman and star athlete in football, basketball and golf. While Burbank did not have a baseball program during Bell’s high school years, he advanced to play this sport as a professional pitcher for 12 seasons for four different teams, but is noted primarily for his time with the Cleveland Indians. Bell pitched in the 1967 World Series for the Boston Red Sox. In 1987, he opened Gary Bell Athletic Supply in San Antonio, a business that still exists today. 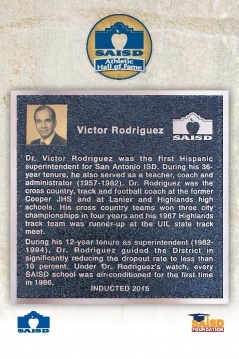 Vic Castillo – a 1963 Brackenridge High School graduate and a state champion quarterback in football. In Castillo’s senior year, the Eagles capped an 11-3 season with a 30-26 win over Borger High School in the 1962 Class 4A state championship game. Castillo completed 112 of 225 passes for 2,145 yards and 25 TDs in 1962, becoming the first high school player in state history to pass for more than 2,000 yards in a season. 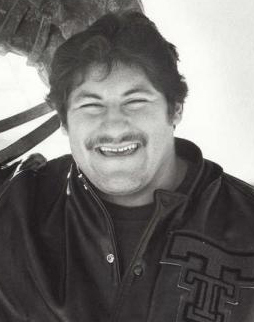 Castillo was a quarterback for Kansas State and Kansas City Teachers College. He returned to SAISD in 1977 and for 24 years served as a coach, teacher and administrator at Sam Houston, Fox Tech, Lanier and Brackenridge. 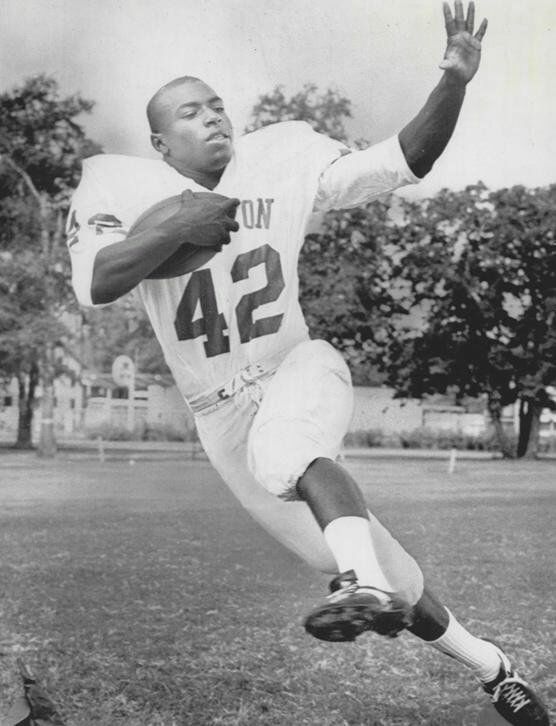 Phil Harris – a 1962 graduate of Jefferson High School and an All State and Parade All-American football player. He starred at running back and defensive back at Jeff from 1959-1961. In his senior season, Harris was the City of San Antonio’s scoring champion in football with 132 points. Harris played college football at the University of Texas at Austin under legendary coach Darrell Royal, where his efforts helped the Longhorns go undefeated in 1963 and win their first-ever football national championship. 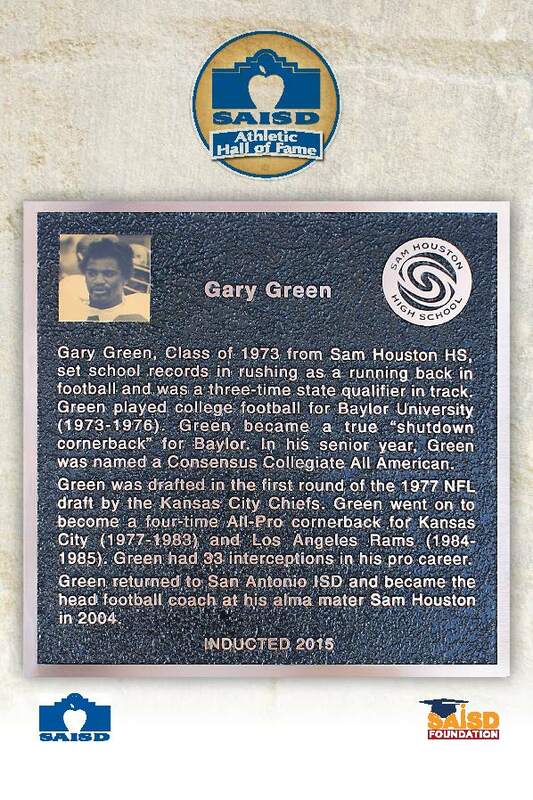 After his football career, Harris earned a law degree from St. Mary’s University and practiced law for 39 years in San Antonio. Joel Horlen – a 1955 Burbank High School graduate and a three-year athletic standout in football, basketball and golf. Horlen played Pony and American Legion baseball while in a high school, where he excelled as a pitcher. 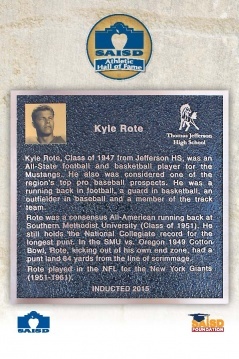 He is the only baseball player to be part of teams winning a World Series at three different levels: the 1952 Pony League World Series; the 1959 College World Series (Oklahoma State University); and the 1972 Major League World Series (Oakland). Besides Oakland, the right-handed pitcher played Major League Baseball primarily for the Chicago White Sox from 1961 to 1971. 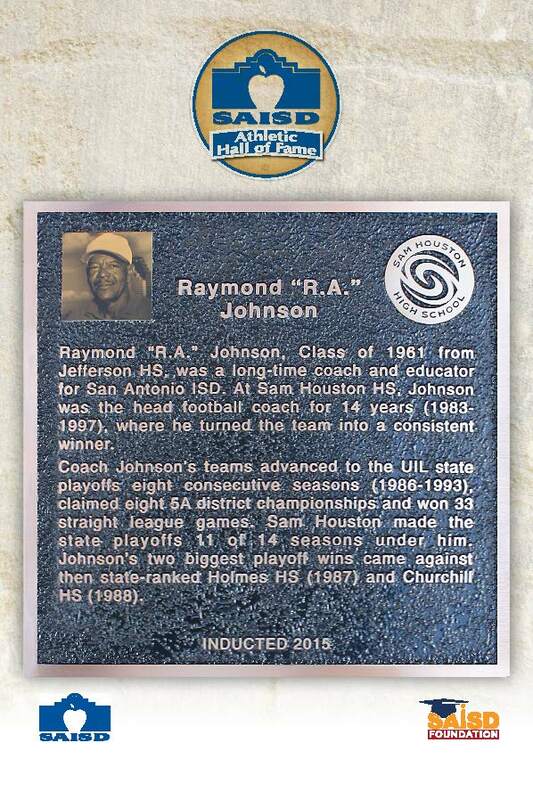 Howard “HJ” Johnston – an SAISD coach, teacher and administrator for 24 years. Johnston served as the head track coach at Highlands High School from 1960–1966 where he guided his Owls to an undefeated season, crowned by winning the 1966 Class 4A state track and field championship. During his tenure at Highlands, Johnston’s athletes set national and state records. Afterward, he rose to become coach for the U.S. Modern Pentathlon 1968 and 1972 Olympic teams. 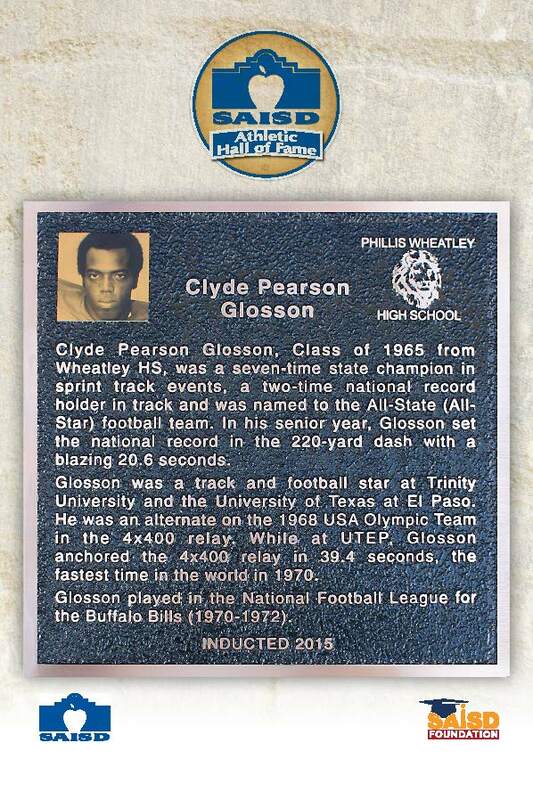 Willie Mitchell – a 1959 graduate of Wheatley High School and an All District and two-sport athlete in football and basketball. Mitchell starred at running back, wide receiver and defensive back in football. He played college football at Southern University in Louisiana and Tennessee State University in Nashville. In 1964, he became a professional football player as a free agent for the Kansas City Chiefs in the American Football Conference. The starting defensive back and a punt and kick return specialist has the distinction of playing in the first-ever Super Bowl. Laura Neugebauer-Groff – a 1982 graduate of Jefferson High School and a champion volleyball player on the varsity team for four years. Neugebauer-Groff helped her team win four district championships and go undefeated in league play throughout her entire high school career. In her freshman year of 1979, Neugebauer-Groff and the Lady Mustangs set a school record by advancing to the UIL volleyball state championship, finishing as runner-up. She was named to the Prep All American athletic and academic team by the National High School Association. After high school, Neugebauer-Groff played volleyball at the University of Texas at Austin where she was an All American and set multiple school records. In 2001, she began an illustrious career as head volleyball coach for the University of Texas at San Antonio where she still works today. Thank you to the 300+ guests who joined us for this first time event and congratulations to our eight honorees and their families! It was exciting to reconnect with so many who’s roots were in teaching, learning and coaching in San Antonio ISD. 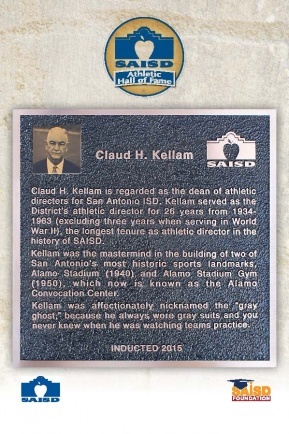 Please enjoy the replica plaques that are now installed at Alamo Stadium to honor our first class of inductees.